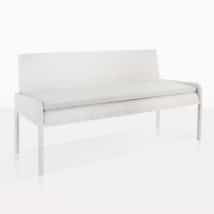 The Luxe Outdoor Loveseat redefines what an outdoor loveseat is. 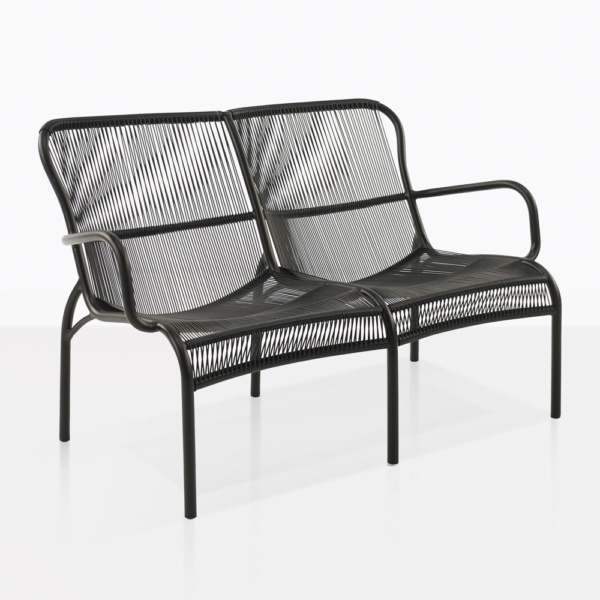 This woven outdoor loveseat is ultra-modern, but super comfortable and very approachable. 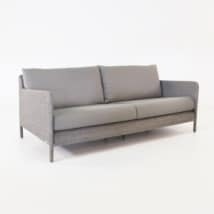 The highest quality materials come together to create an outdoor loveseat that is equally at home poolside, as it is in more formal environments. The versatility of this glamorous piece of outdoor furniture is understated by its long cool lines, but this 2-seat sofa can go anywhere. 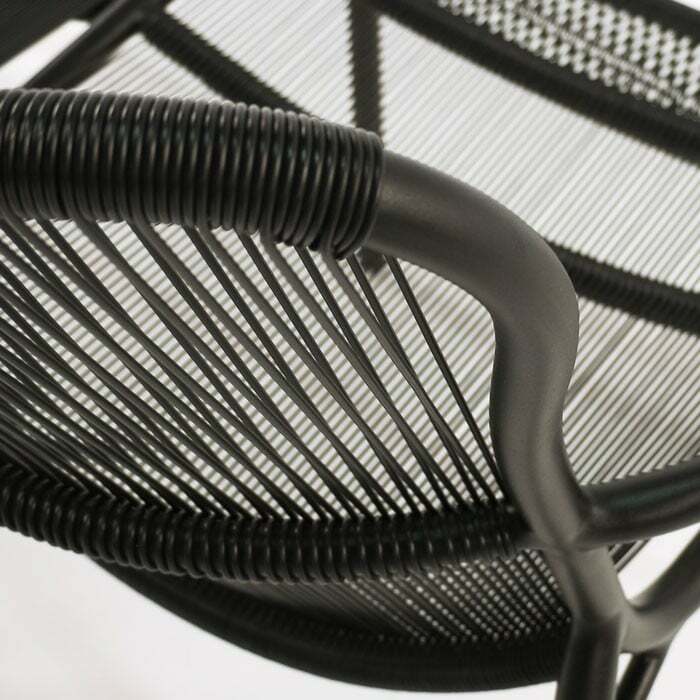 The deep black and semi-matte look to the innovative outdoor weave made by Ecolene®, gives a formal look. The clean patterning of the weave construction give it a fun outdoor look. 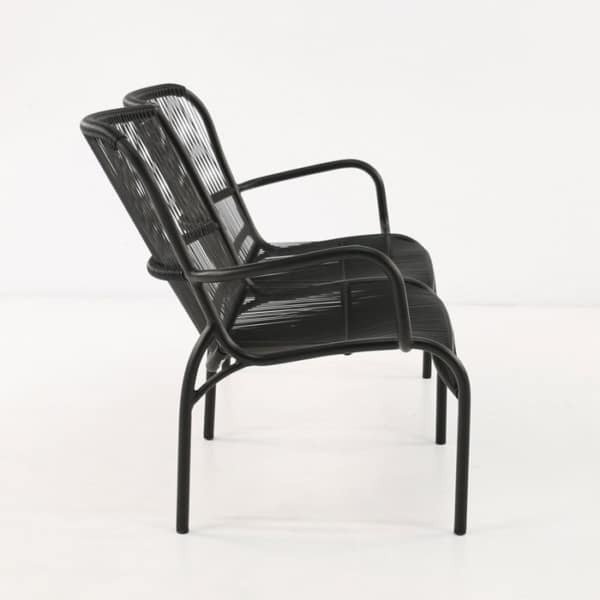 Imagine yourself sitting on a gorgeous day outside on a functional and stylish piece that is lightweight and easy to care for. This is the outdoor loveseat you’ve been waiting for, with a look that won’t soon be forgotten. 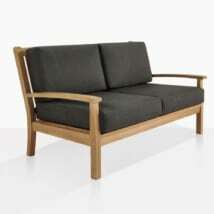 You really can’t understand how comfortable the seating surface is until you experience it. The Ecolene® Outdoor Weave on this loveseat offers the perfect mix of flexibility, strength and support from these gorgeous Ecolene® Outdoor Weave strands (HDPE); woven onto a strong but lightweight powder-coated aluminum frame. 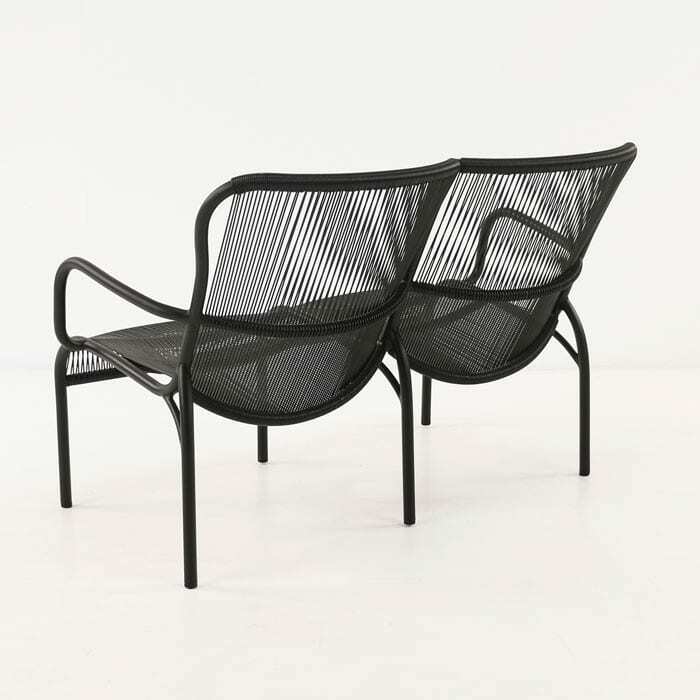 Perfect for outdoor use by the pool or in the garden for cool, comfortable seating regardless of the environment.